They're already here! And they're not friendly! As part of a secret elite squad, it's up to you and the other agents to protect the world from the alien invasion. But who will take care of miniatures and game material after the mission? 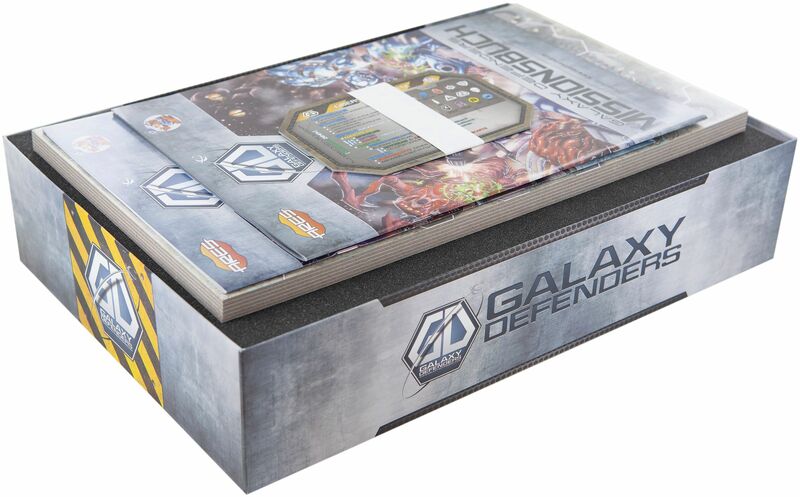 We have accepted this order and developed this foam tray set, custom-made for your Galaxy Defenders board game box. 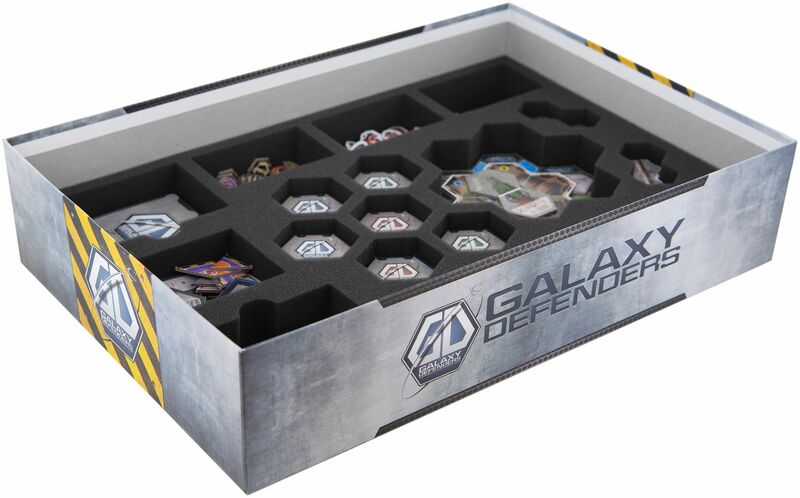 All miniatures of the game find their place clearly arranged on the upper tray. 28 compartments, cut precisely to fit the miniatures, ensure that they are optimally protected against damages. Agent Chromium, Agent Thorium and their other three teammates are as safe here as the miniatures of the Aliens. Each figure is completely surrounded by foam. This ensures that even the most bumpy transport cannot damage the colors of painted figures. It also keeps sensitive parts, such as Agent Mercury's blade, from bending or breaking. Additionally on this mat: six hexagonal compartments for dice. 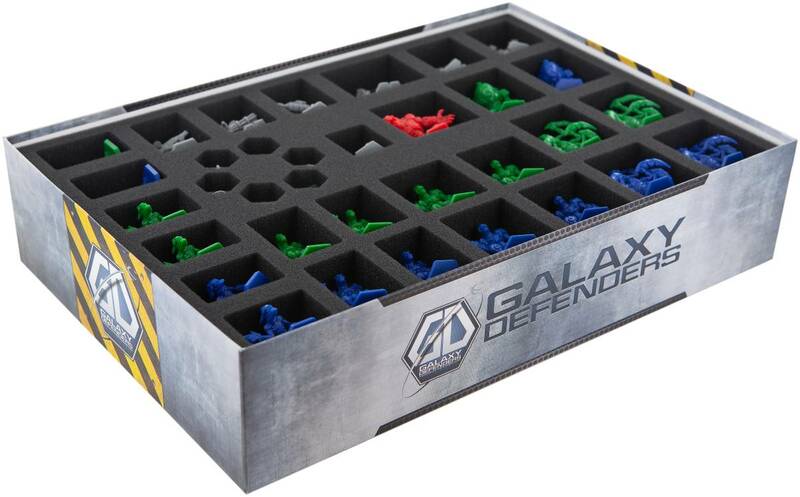 The lower mat, with 21 compartments, helps you to sort the game material. There are 2 card compartments, with finger-wide recess for easy removal. Of course your cards will fit here sleeved as well. The Agent Profile Sheets are assigned a correspondingly large tray. 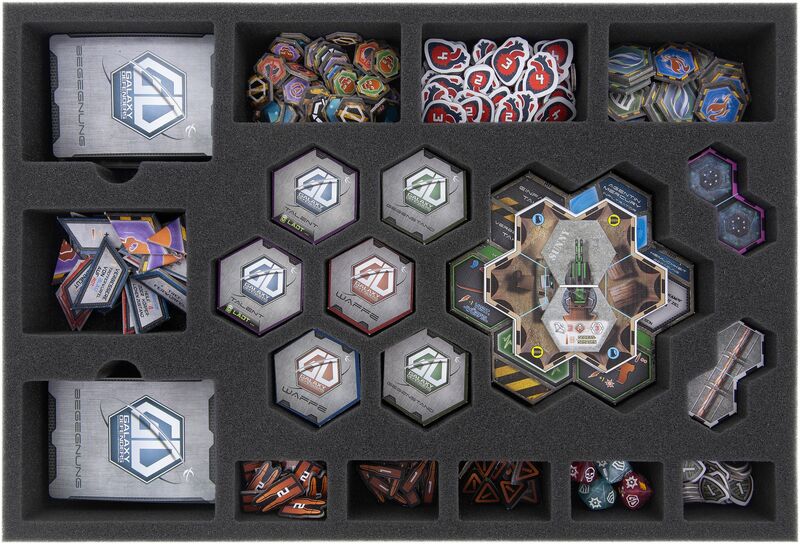 The other hexagonal markers can also be sorted into correspondingly shaped compartments. This makes sorting easier and ensures not only a quick overview. It also keeps them from slipping around during transport. 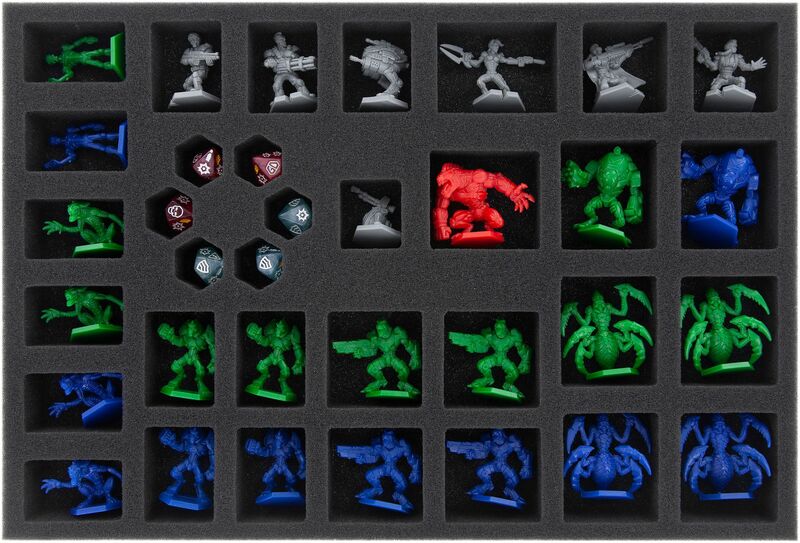 The other compartments are for additional markers, tokens and the remaining dice. 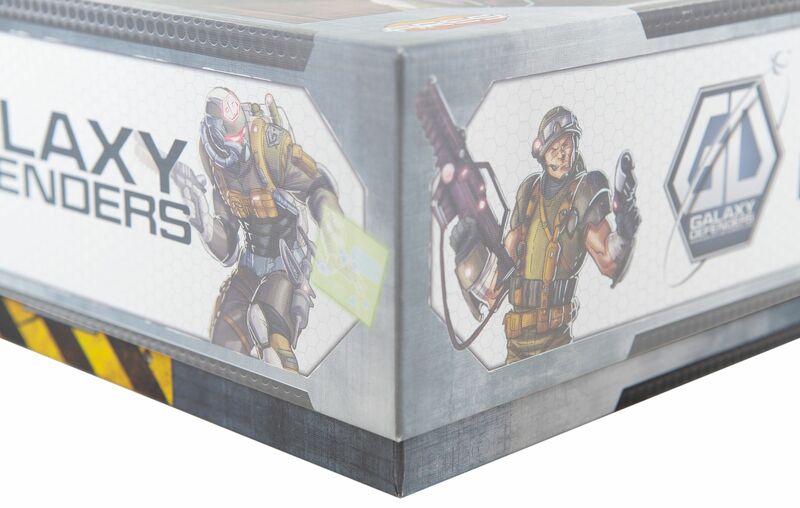 Game maps, Rulebook and the Storybook are placed on the foam topper. The lid of the board game box protrudes approx. 1-2 cm. 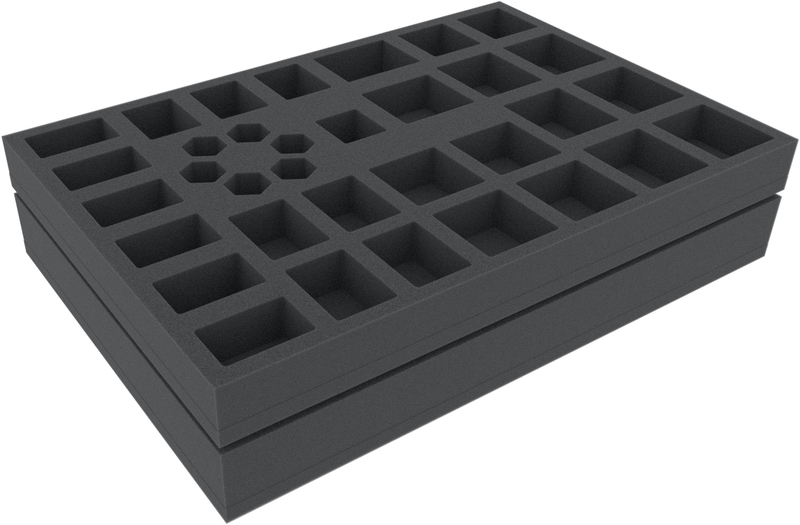 1 mat: 395 mm x 270 mm x 45 mm height (35 mm usable height + 10 mm foam base). 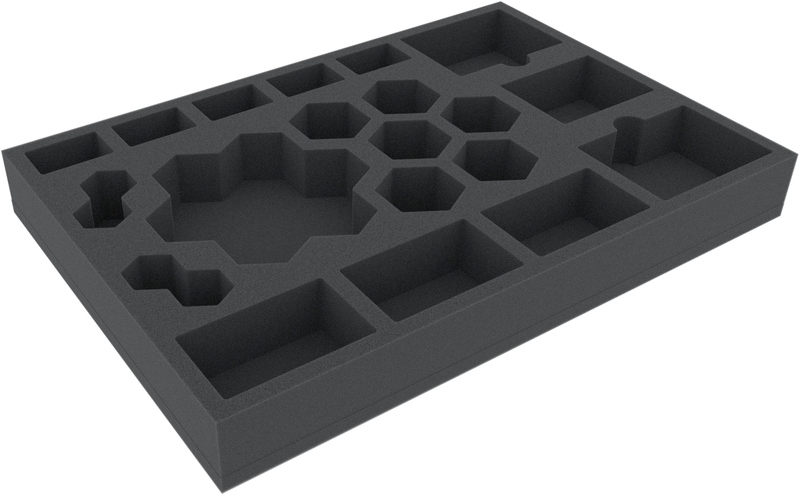 1 mat: 395 mm x 270 mm x 35 mm height (25 mm usable height + 10 mm foam base).